Can you believe we are approaching the end of January 2019? Make this the year you place generosity at the top of your to-do list. Here are four easy ways to kick off the New Year with open hands and an open heart. There’s nothing wrong with your standby resolution to work out more or consume less coffee. But why stop there? Resolve to feed a hungry child every day this year! It’s easy! Visit the BGR Gift Catalog to send nutrition to a child in need. There are millions of people around the world who have been forced from their homes will little access to clean water, food, or shelter. Believe it or not, you can create change and improve the lives of these individuals. Send a blanket, a hygiene kit, food, or even a cow and give hope where there is little. The more you focus on others, the more you will reflect the love God has freely bestowed upon you and each and every man, woman, and child. It’s often the case that when we are grateful for our blessings, it’s easier, more natural to spread your blessings around. Each morning, take stock of what you have—a home, health care, clean water, security—and be reminded of those who are living without. 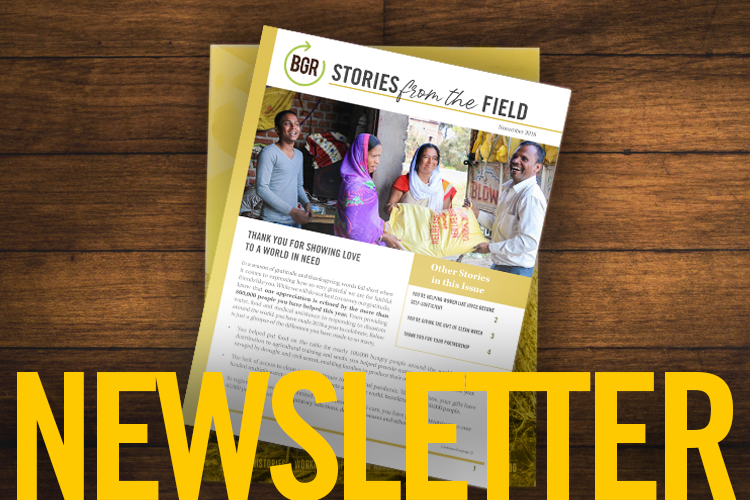 Grab the BGR Gift Catalog, sit down with your kids, and let them participate in the act of giving. Model for your children the art of generous living. As they send bunnies, water filters, a blanket, or other items, celebrate their capacity to help others, while spreading the love of Jesus all around the world.